If the introduction of Chip and PIN seemed revolutionary, paying without cash or a card in sight will definitely excite you. Online payment and money transfer service, PayPal, had a cafe where customers could pay for their coffee and croissants through PayPal accounts. PayPal expanding its domain is testament to the discussion about the convergence of e-commerce and physical retail, ultimately giving customers more option and choice as to how they pay for a product. It’s safe to say that robots are part of most people’s vision of the future, and we’re indeed edging towards a time where they’ll be a regular fixture in retail. IBM Watson has already proven to be a great personal shopper with its carefully curated gift-guides due to its ability to analyse and interpret conversations, sentiment, content and context in the same fashion as humans. Though there are questions and criticism surrounding the viability of using robots in retail including them lacking human touch and nuance, whether they’d be able to provide better customer experience than actual staff and if robots can replace them, it’s an interesting development nevertheless. One of our favourite stands at RBTE was that of TRO Retail with its interactive sweet shop concept to bring its analytics services to life. Using Wifi to measure footfall, assessing how customers engage with certain products or parts of a store through eye movement and a gobstopper dispenser chute measuring key customer demographics like gender, age and sentiment were a few of TRO’s impressive technologies. Qudini managed the queues for Samsung’s virtual reality headset, Gear VR, and we’re equal parts hooked and fascinated with the endless possibilities of using the gadget in stores. Examples include customers getting to experience a city like New York before deciding on booking a ticket at travel agencies and watching chefs cook up meals with ingredients available in a supermarket. However, the most interesting may be how Gear VR could contribute to the shaking-up of how fashion houses present their collections. With designers increasingly edging towards democratising fashion weeks by making them consumer-facing as opposed to the event traditionally being exclusive to press and buyers, Gear VR can allow customers to experience these elusive fashion shows in-store. 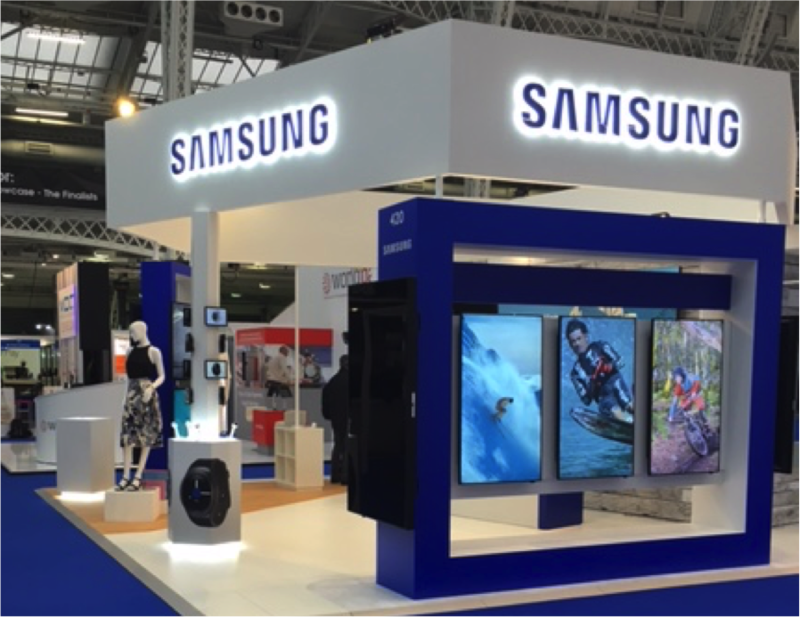 If you attended RBTE 2016 we’d love to know what you thought, saw and found interesting! Tweet us or leave a comment on our Facebook page.